Organized in partnership with Nest, this twelve-week global accelerator program supports growth-stage startups with business development, investor access, and by providing the tools to build a strong foundation for success. 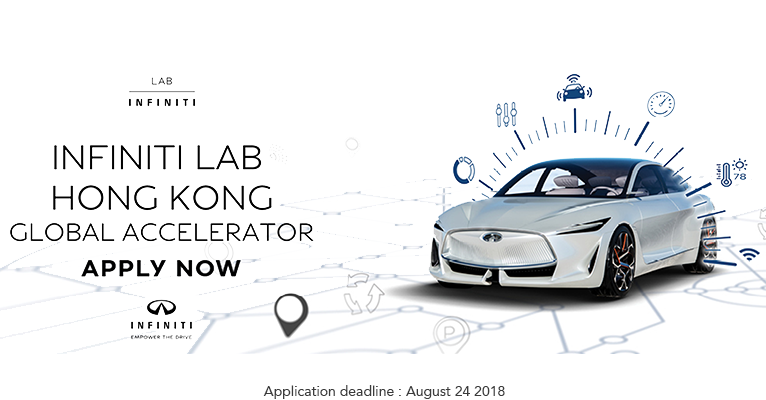 Elevate is INFINITI’s flagship global accelerator. Based at our headquarters in Hong Kong, this three-month program offers unrivalled resources to strengthen your product-market fit, and rapidly expand your startup. What's more, flights and all accommodation costs for the 12-weeks will be covered by INFINITI. Throughout Elevate, you'll receive intensive 1:1 mentoring from experts in brand, digital marketing, business development, product, and network transformation. On top of that, you'll attend interactive workshops with cross-industry experts, thought-leaders and policy-makers from the local business community. You'll also head to China for a one-week deep dive where you’ll learn about the region's business culture, local ecosystem, and industry trends — as well make connections with corporate partners, investors, and Chinese VC funds. Throughout Elevate, you'll access an investor speed-dating event where you'll be introduced to top quality individual investors and VCs. The program will end with a Demo Day where you will pitch to a selection of VIP investors, corporate partners, and the chance to pitch to Alliance Ventures, a strategic venture capital fund of up to $1 billion over the next five years, operated by Renault-Nissan-Mitsubishi.